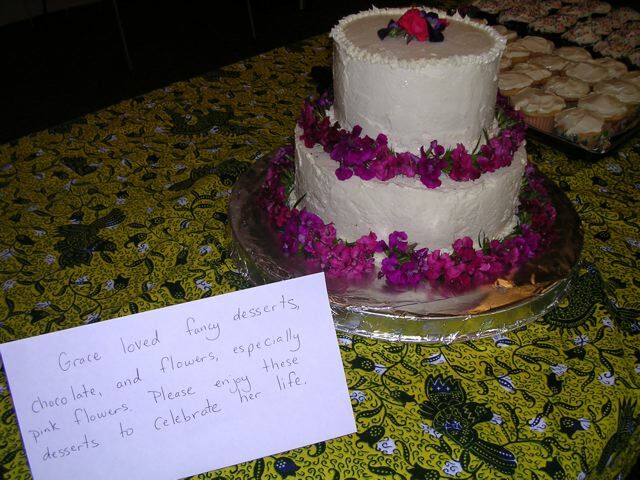 Here is the cake I made for my grandmother’s memorial service last week. I am told that it was delicious and that she would have enjoyed it. I had trouble making the sides smooth without a turntable. I finally found a use for my lazysusan I bought at Ikea just because I liked it. June 27, 2007. Pictures, Projects, Words.